Hi - I'm Lucy! I'm a funky headscarf wearing, veg growing, mum of two beautiful girls. I work from my home studio in rural Leitrim and produce sensitive skincare that works for me and my (ridiculously) allergic family. 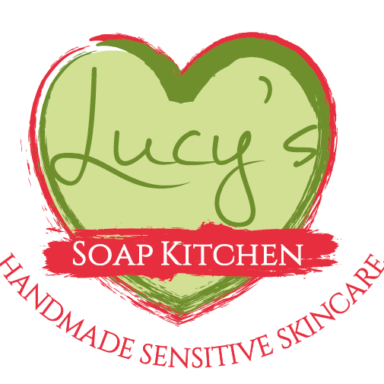 My handmade natural soap and skincare is created to bring calm to sensitive skin and enable you to reduce your synthetic chemical overload. It is nut free, dairy free, gluten free and preservative free. Handcrafted in small batches from my soap kitchen in Bornacoola, rural Leitrim, Ireland. I understand that dealing with allergies, anaphylaxsis and eczema is exhausting, and I share some of what helps us on my blog.